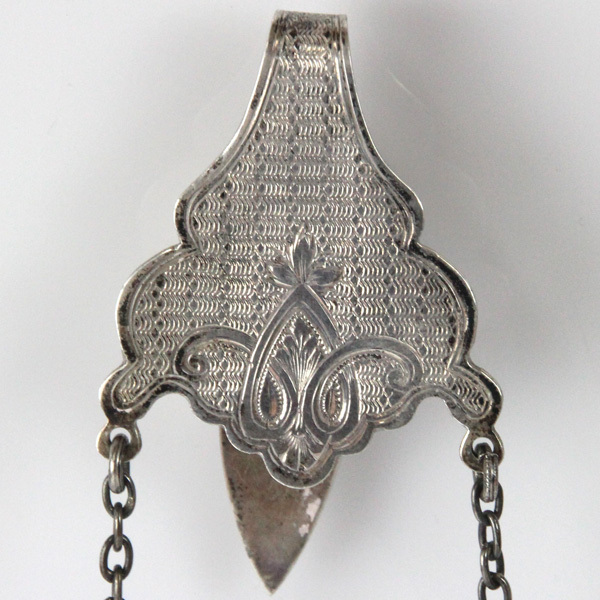 Pasarel - Sterling Silver Chatelaine Spectacle Case, Colen Hewer Cheshire, Chester, 1915. 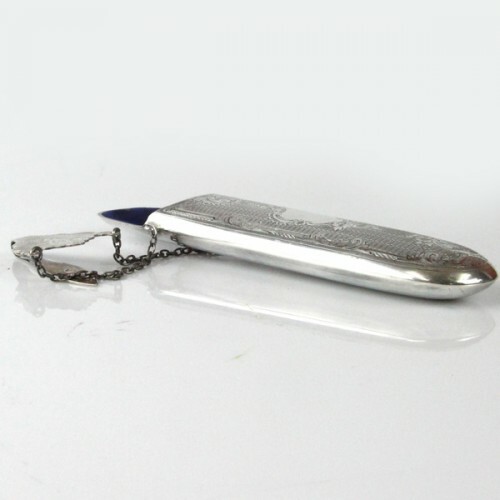 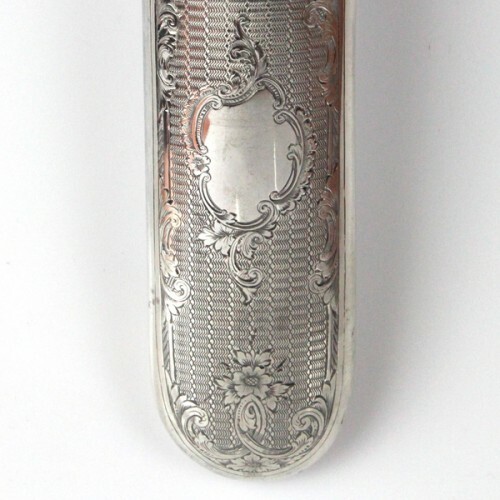 Sterling Silver Chatelaine Spectacle Case, Colen Hewer Cheshire, Chester, 1915. 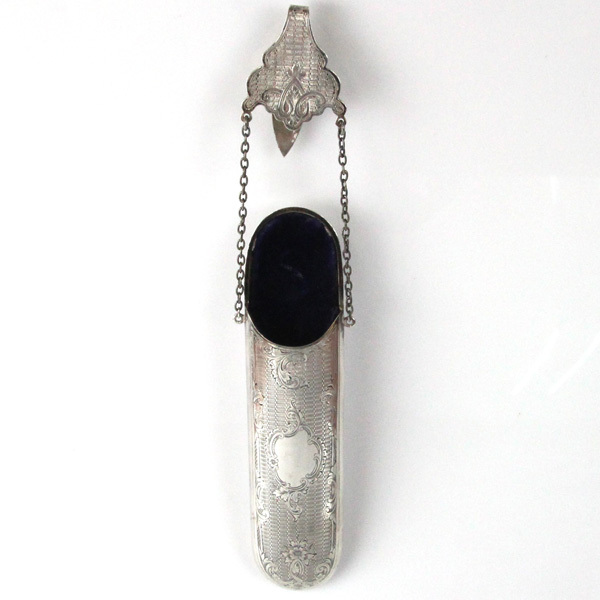 Of elongated oval form with engine turned, floral and foliate ornaments. Stylized hanger connected with two chains. 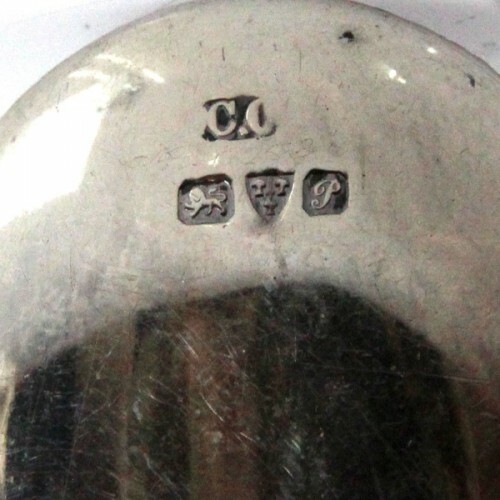 Fully hallmarked for Chester, England, dated 1915, maker’s mark for Colen Hewer Cheshire.